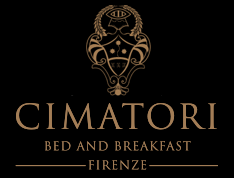 It's very confortable and wonderfully furnished and it’s located in Calzaiuoli street no. 9, just 2 minutes from all the main monuments and museums. Calzaiuoli Street is one of the most beautiful and well-known streets in Florence that goes from the Duomo Cathedral to the Signoria Square and the Uffizi Gallery. It’s a new brand apartment, just restored, on the second floor with no elevator, very quiet because faced on inside courts and equipped with double glazes windows. It’s composed by a small living room with kitchenette, one bedroom (twin beds or king size bed) and bathroom with shower. The apartment is equipped with air conditioning, internet WI FI connection, washing machine and dry machine, flat smart TV and safe.